Stage B: Moving from Direct Reining to Neck Reining? Stage B is all about transition, with the introduction of leverage and curb pressure. 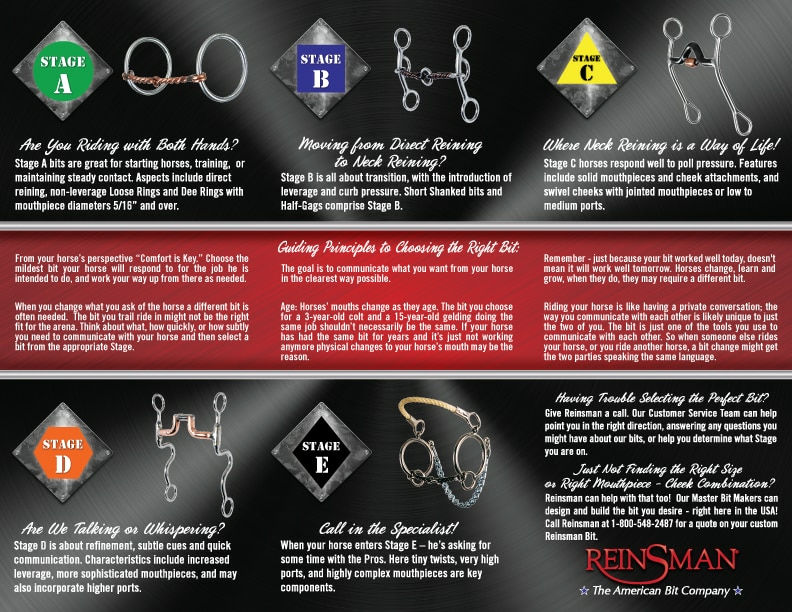 Short shanked bits and half-gags comprise Stage B.
Reinsman Junior Cowhorse Smooth Sweet Iron Snaffle offers short gag action that helps to collect the horse. 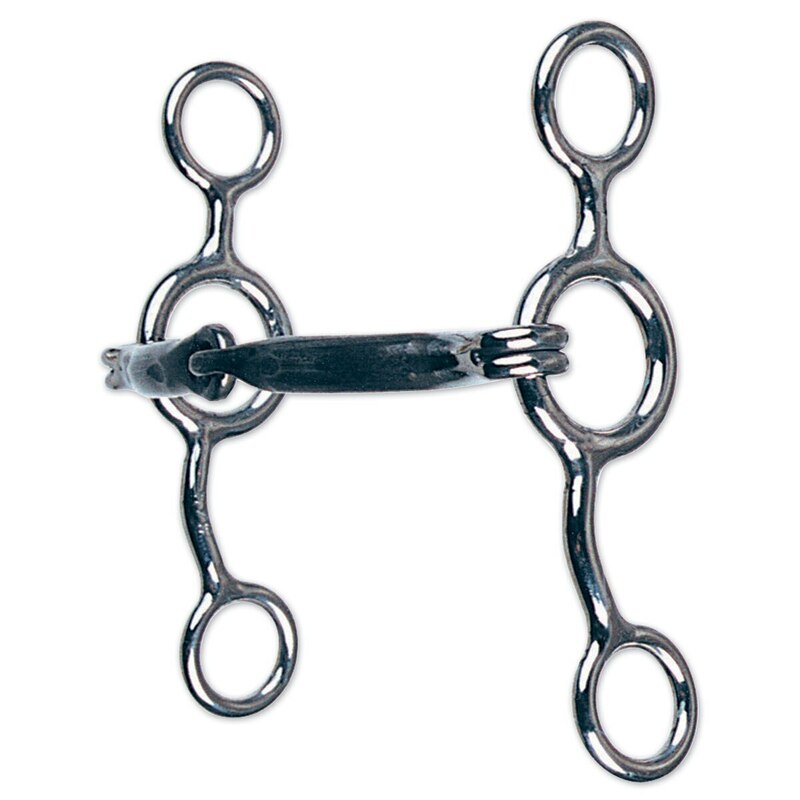 This is a popular bit to help get your horse's legs underneath them and their rear end down. Stainless steel short shanked bit With low sweet iron port. This is a miled bit but will react quickly. Stainless steel shanks with brass decorations. Low port copper coverd mouth. A nice miled grazing bit. Reinsman Stage B Junior Cow Horse Bit is rated 5.0 out of 5 by 1. Rated 5 out of 5 by Dz3511 from Game changer! I love this bit!!! My horse was struggling getting his tush under himself and on the bit and this made a huge difference. He now rounds up, has a slower and more collected canter and is very light in the bridle. My horse has never accepted bits until I tried this one. I like that this bit has a nice smooth curved mouthpiece, doesn't pinch him and he seems to enjoy the iron. I wish the price was a hair cheaper.... but I guess you get what you pay for because we both like it! :) I think this bit is best for those with educated hands!